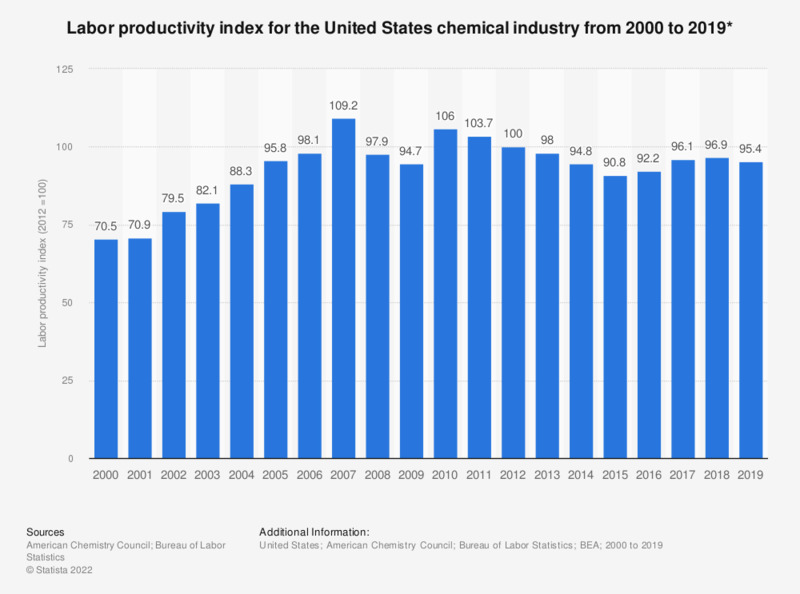 This statistic shows the labor productivity index for the United States chemical industry from 2000 to 2017. Compared to an index score of 100 in 2012, productivity is shown to have decreased since that time and by 2017 it stood at 94.9. According to the American Chemistry Council, the U.S. chemical industry includes: pharmaceuticals, basic chemicals, specialty chemicals, agriculture chemicals, and consumer products.